Jenny Sheppard is a lovely and vibrant woman with a big smile and a beaming, positive attitude which you can see first thing when you meet her. 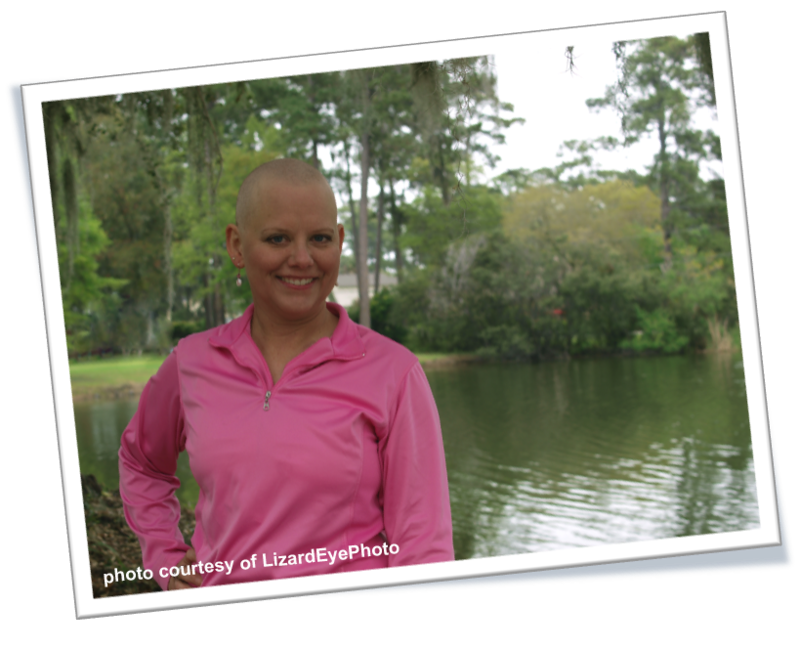 First diagnosed at age 37, she is one of the founders of the Savannah Affiliate of the Young Survival Coalition, a group that focuses on younger women who are diagnosed with breast cancer. She says that younger women may face different obstacles while fighting cancer, such as raising children, early menopause, maintaining their careers and frequently, more aggressive disease. The group also is trying to promote awareness that younger women do get breast cancer as well. She was first diagnosed in May of 2006, “I was getting mammograms annually due to a strong family history, and had just had a clear mammogram on March 29th. Two weeks later, I found the lump in the shower. I learned that unfortunately, mammograms are not very reliable for women under 40.” Jenny’s OB/GYN sent her back to Telfair for a recheck, where they decided to do an ultrasound, followed by a biopsy and eventually a diagnosis of stage IIA estrogen positive breast cancer. She opted for a double mastectomy and reconstruction, then 6 rounds of chemo and 34 radiation treatments. It was very challenging dealing with the treatments while working and raising two young girls who were 3 and 7 at the time, but we stayed positive and came out the other side as a stronger family. Now, 4.5 years after her initial diagnosis, Jenny is facing breast cancer again. She found a tiny spot under the skin near the site of the original tumor and biopsy in December 2010. The biopsy revealed it was the same type of breast cancer as before and is considered a local recurrence and not metastatic disease. She’s being treated with radiation and chemo therapy (both oral and IV). Jenny and her family remain optimistic and look forward to the day we can start counting the cancer free days again. Young women CAN and DO get breast cancer and there is no effective screening tool for young women. We must be familiar with what is normal for our own breasts and notice when something changes. Also, living a healthy and natural lifestyle are important parts of reducing your risk.